You may be in the middle of back-to-school shopping … or maybe you’re not. Chances are, though, you’ve bought clothing at some point in 2014. 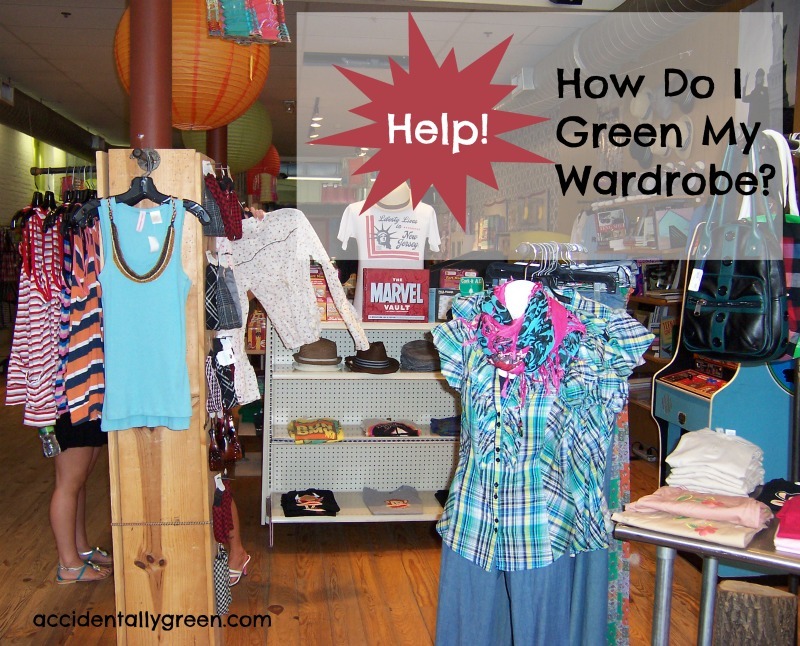 When you went shopping, did creating an environmentally friendly wardrobe ever cross your mind? I’ll be honest – I don’t think of it. I’m usually too consumed by the way clothes look, fit, and how much they cost. Yet I need to become more intentional when I green my wardrobe. The most important consideration is to think before you buy. Do you really need this item? Is it a high-quality piece of clothing? Will it last? Has it been ethically manufactured? In the spirit of resourcefulness, can you make due with clothing you already own? How about something you could borrow from someone else? If your only option is to make a purchase, scour thrift stores first to find something used – and of good quality. 3. Whenever possible, buy organic cotton. Organic cotton is manufactured without toxins – and that helps your health, the health of others, and the environment. If you can’t find organic cotton, opt for plain old cotton. Avoid buying synthetic fabrics. Have you started to green your wardrobe? If so, what’s your approach? « Help! How Can I Go Green This School Year?